packages and bonuses for you! $199 First Two Hours and Then $99 Each Additional Hour. March Special – 4 Free Wardrobe Rentals with Every Move. $249 First Two Hours and Then $139.00 each Additional Hour. March Special – 4 Free Wardrobe Rentals with Every Move. Part of America’s LARGEST moving fleet. Professionally trained and screened movers. No hidden fees. Guaranteed property protection. Welcome to Community Moving & Storage. We proudly provide the Tampa area with top-quality local, national, and international moving and storage services with a focus on transparent pricing, careful and safe moving, and punctual services. As an agent for Mayflower Transit, when you choose us as your moving company, you gain access to America’s largest and most trusted network of truck’s, warehouses, and moving professionals. This affiliation gives you the widest range of moving options at prices far below the competition. If you’re searching for moving companies in Tampa, choose the country’s largest, most trusted, and most professional fleet. As part of America’s largest and most trusted moving network, we strive to make your move easy and stress-free. We know how important your personal belongings are to you. Local Tampa Movers: Our company has deep roots in the local Tampa Bay area and employs over 100 screened and trained local residents. We proudly provide the Tampa Bay Area with fast, safe, and courteous local moving and packing services. Whether you are going to North Tampa, South Tampa, or anywhere in between, we’ll provide a fast quote, a uniformed team, and high-quality trucks. No other moving company has the local moving power of Mayflower. Looking for movers by the hour; need a Tampa local furniture mover, give us a call and we can get you a quote. Long-Distance: As part of the Mayflower moving network, Community Moving & Storage provides access to America’s largest fleet of trucks, warehouses, moving professionals, and moving services. Nobody can get you from point A to point B faster than us. No matter where you’re going or what you’re taking with you, Community will get it there safely. International Moving: Mayflower’s unrivaled international moving division gives you access to award-winning moving services in over 180 countries. Regardless of where you’re going, we speak your language. We’ll help you get where you are going safely, settle in, and adjust to your new surroundings so you can actually enjoy your journey! Tampa Storage: Our clean, secure storage facilities have you covered in case your moving dates don’t line up. Most movers place your furniture in old, run-down warehouses with just a padlock for security. Our ultra-modern facilities are state of the art and under heavy security surveillance. Why Choose Community as Your Tampa Movers? Obtaining status as a Mayflower Transit agent requires a commitment to excellence. When you’ve been in business since 1927, you can’t just let any regular moving agent display your name. At Community, we strive to become the best mover in Tampa and to make your move unlike any you’ve ever had. In our decades of service to the local area, we’ve helped families and business from Bayshore and Ybor to Pebble Creek and Hunter’s Green move around Florida, across the country, or overseas quickly and safely. From our courteous, uniformed professionals to our delicate safety procedures and cutting-edge technology, there’s nothing quite like Community anywhere around here. Our commitment to excellence starts with the most important people in our company: our movers. All of our employees must pass an extensive, nationwide background check before joining our family. Each mover has been trained in the proper moving techniques to ensure maximum safety. Everyone in our family is dedicated to customer service. As locals to the area ourselves, you can truly sense the “community” in all of us. We understand how important your belongings are. Trust us, the only people who care more about your shipment’s safety than you do are us. All of your furniture and items will be wrapped properly in a CLEAN blanket and stored on a state-of-the-art, climatized truck. From the modern walk boards and clean equipment on the truck to the nation’s most comprehensive property protection plan, your items are guaranteed to get to the other side just as they got on the truck. We work a bit differently than other moving companies in Tampa. Our goal is to make your move hassle-free. It all starts with a FREE quote via a virtual survey. You never even have to leave your home. Our quotes are free, fair, and accurate. From there, you get the benefit of our vast moving network to help make your move happen as quickly as possible. Nobody has more moving flexibility or capability than we do. No waiting for days on end, no last-minute warehouse switches, and no delays waiting to get into storage. Just a quick, stress-free move at an affordable price. Part of moving stress-free is not worrying about the price. Our moving industry affiliations allow us to offer prices that can’t be beat. With prices for moves starting at just $200, we make moving around the Tampa Area easy and affordable. The difference between us and the others is that we never sacrifice quality when it comes to pricing. 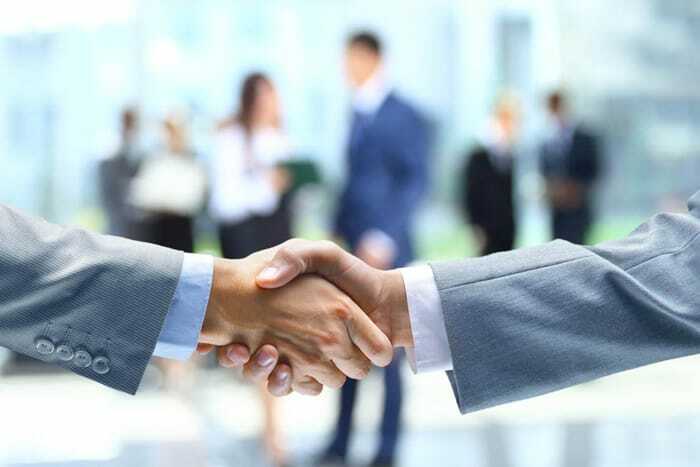 Whether you just need our “two men and a truck” deal or are moving abroad, you will get the same professionalism, quality, and courtesy, no matter what. Customer service is our top priority, and we treat each of our clients as part of the family. As the local agent for America’s most trusted network, our job is to connect with the local residents and help their move go seamlessly. Moving can be a stressful and hectic time, so we go the extra mile to take that burden off of your shoulders. From fast moving quotes and tips for a less stressful move to pre-planning and shipment tracking, there’s no better customer service team than ours. Community Moving & Storage has been helping the people of the Greater Tampa Area move better for years. We proudly serve the entire city and surrounding communities as well as the State of Florida and beyond. If you are in any of the following communities, contact us immediately for your free moving quote. Each of these communities knows our moving trucks well! Our local moving network ensures we can be anywhere you need us quickly. If a virtual quote isn’t what you need, we can quickly send a local representative to provide a free quote and walkthrough so that you know how much to budget. Community Moving & Storage has been helping the Greater Tampa Area move since our foundation. Contact us today to learn more about how we can help you! Get the Power of America’s #1 Moving Network! 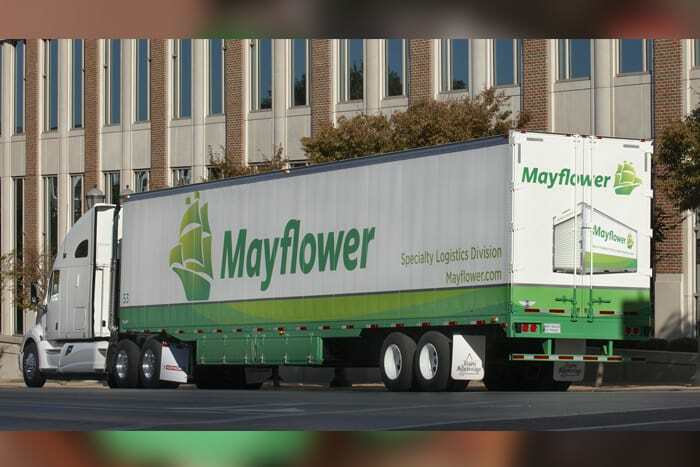 Mayflower Transit has been America’s leading moving network since 1927. As the Tampa agent of the nation’s leading network, we provide our clients with advantages they can’t get anywhere else. From specialized moves for the most sensitive equipment to commercial scale tradeshows and industrial moves, Mayflower has unrivaled expertise and flexibility. More Trucks Than Anyone Else: You’ll never have to wait to move with America’s largest truck fleet. Advanced Technology: Shipment tracking, virtual tours, state-of-the-art warehouses—we’ve got it all. UniGroup Logistics: UniGroup is the world leader in transportation and logistics with decades of experience in safe, stable, and secure relocations. Full-Service Packing: Our packing experts have been specifically trained to maximize safety and space while packing your items. Training: Need moving tips or training so you can DIY? Check out Mayflower’s impressive library of tips, articles, and videos. Community Moving & Storage can even help you out if you need it. Auto Transportation: Our trucks and personnel are specifically tailored to carry cars across the country or ship them internationally. Service Guarantees: Mayflower hasn’t built its reputation by accident. As America’s leading moving company, they offer a service guarantee that can’t be beat by anyone else. Your items will arrive on time and in good condition. Storage: Never worry about storage space when you’ve got access to hundreds of strategically located warehouses across the country. At Community Moving & Storage, we take pride in being the leading local Tampa moving company. Over the years, we’ve built a reputation for providing safe, reliable, and fast moving services carried out by trained professionals. Contact us today for the easiest move you’ve ever had. All of your items will be handled with care, protected by our insurance policy, and kept safe en route to your destination. Whether you are moving from North Tampa to South Tampa, across the country, or around the world, Community can make it happen. Contact us today to set up your FREE virtual tour right from the comfort of your own home and experience the difference that a Mayflower moving makes. No matter where you are in the Greater Tampa Area, you are part of the community too. Looking for the best move of your life? You’ve found it here!